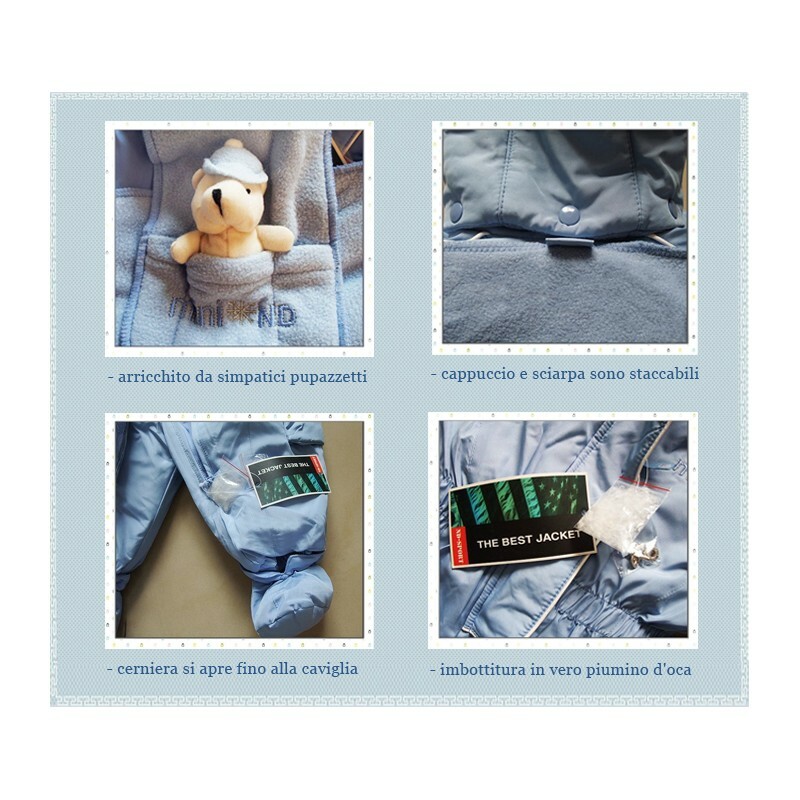 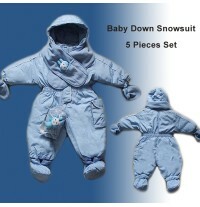 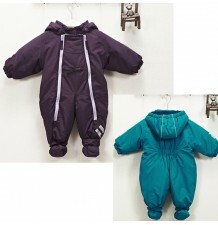 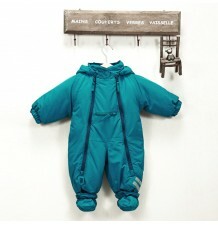 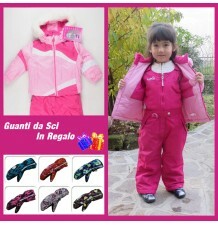 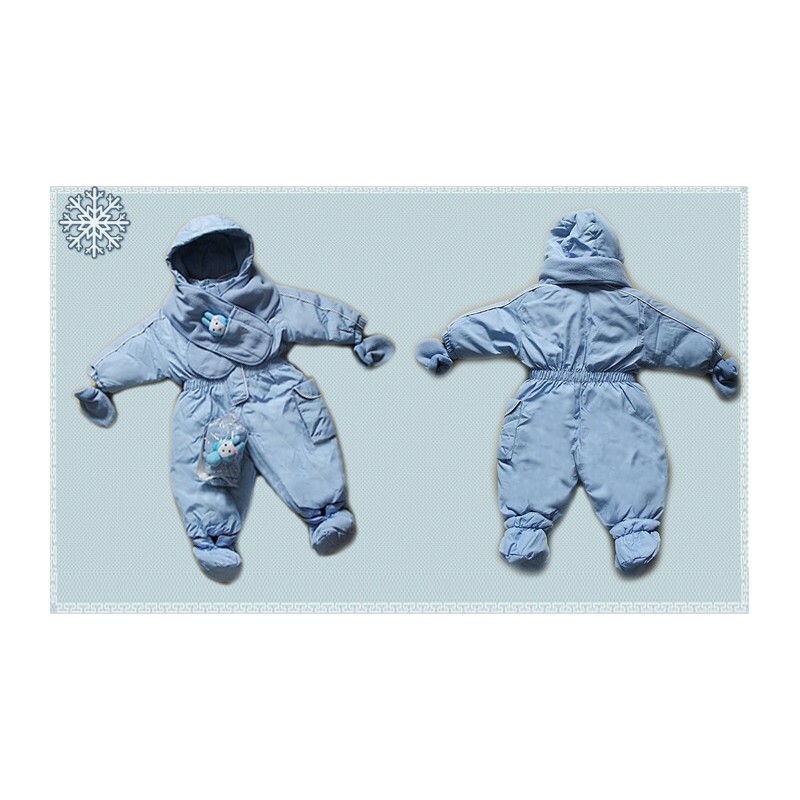 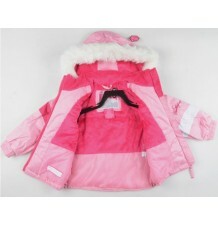 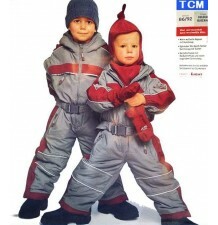 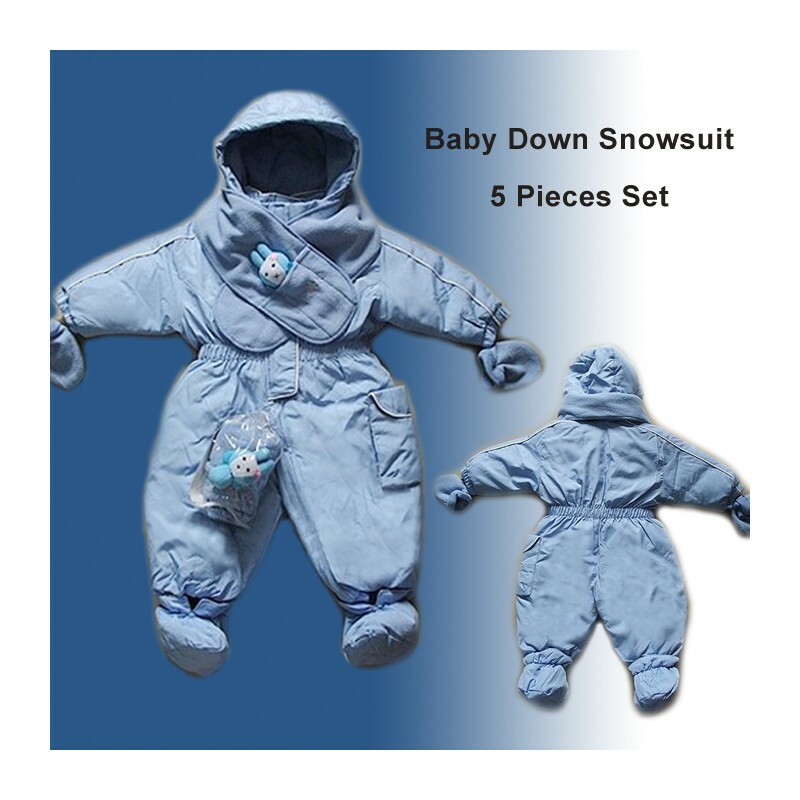 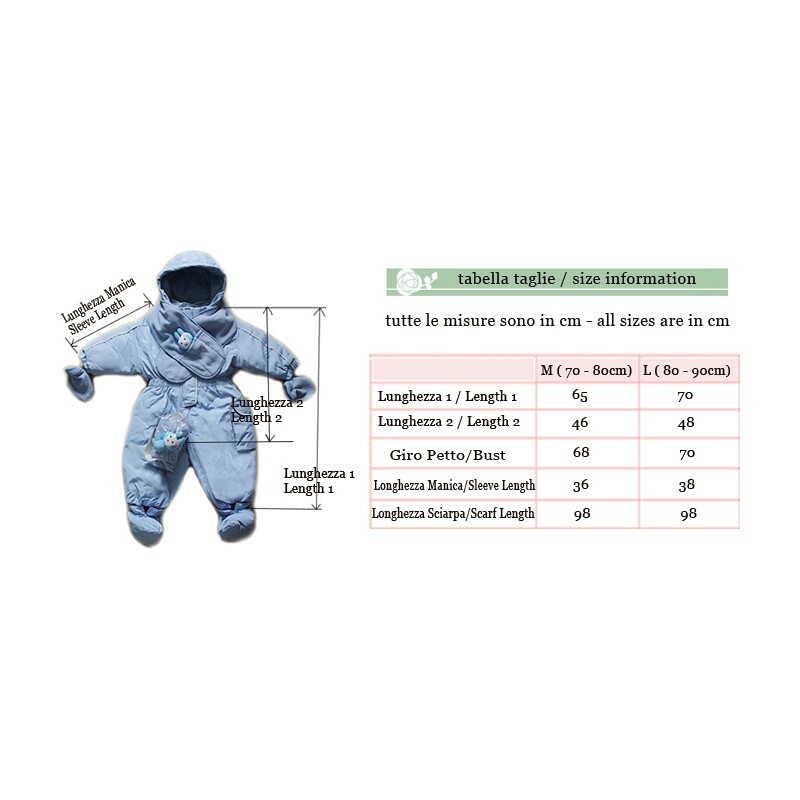 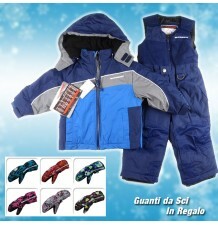 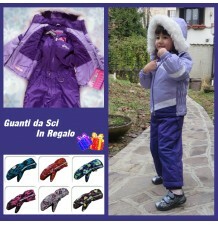 High quality ND sport snowsuit, including five pieces: the overall, the hood with scarf, the gloves, the cap and the detachable footsies, and featuring funny puppets. 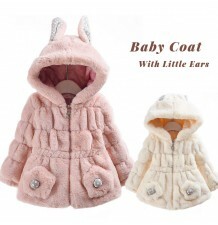 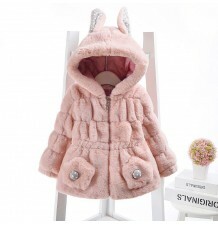 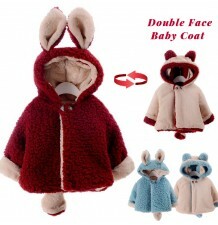 Available in two versions: bunnies or little bears. 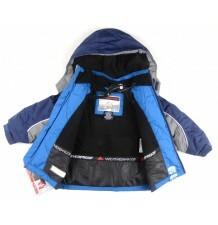 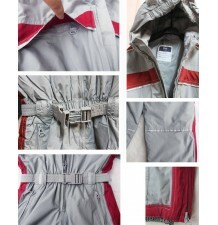 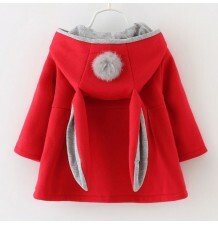 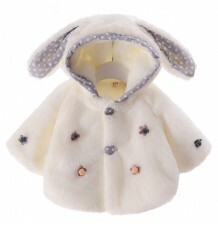 - the zipper opens up to the ankle, so that the overall can be worn and taken off more easily. 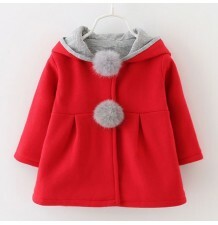 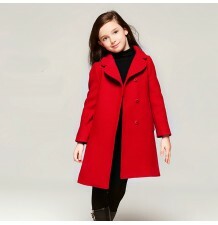 Available sizes: M (80-90cm); L (90-100cm).